Testimony of Climate Depot’s Marc Morano at Congressional Hearing on Climate Change | Watts Up With That? Love him or hate him, he’s making an impact. I thought it worthwhile to make his testimony available to read. Scientific reality is that CACCA is not science, but anti-scientific, since the cult & its druids don’t practice the scientific method. Unfortunately each point is prefaced with a paragraph that summarizes the point, then more that repeats it. Quite difficult to read in its current form. Morano can be over the top at times, but whenever he speaks he makes the warmists roll their eyes back in their heads and swallow their tongues while making strange gurgling noises. That alone is enough for me to cheer him on. Go Mark!!! Somebody’s got to be willing to carry the fight to the enemy! WOW! No need to hold back, Marc- might as well tell ’em how you feel. Thanks Anthony — and Marc. One can only hope that Congress reads this testimony carefully and pays attention, and acts to prevent Swift-Boat Kerry from selling us out to the UN, as he is planning to do in 2015. Boxer and Whitehouse – and Kerry – are buffoons. Chimpanzees would represent our interests better. Unforrtunately, these mollusks are still taken seriously by too many. One point missed here: I saw no mention of the Oregon Petition – that’s 31,000+ skeptical scientists, not the 1,000 or so referenced in Marc’s testimony. May 31, 2013 at 2:14 pm. Bit of a diatribe, put into pulp journalism style. Brash, loud. Not compelling but the sort of things you rant about to your troops to inspire them to fight, not inspire them to think (too messy). Meh. Wrong audience or wrong style. Committee presentations are political and drive home whatever point is to be made. Verbiage is essential – these are politicians after all. Morano is a warrior. We need more like him. His grasp of the issues is perfectly adequate and he WINS the argument. His delivery is fine. It confounds the cult. Bring it on, Marc! Doug Proctor– or both. I checked some of his references, and many are to other diatribes by himself in similar style. Not sure this helps the sort of reasoned fact based debate Rep. Smith was calling for in his WaPo op-ed, and which I think will ultimately be more effective both in Washington and with much of the public. Marc better be careful. Mann might erase him from his holiday card list. The objective facts are it’s not catastrophic, it’s not man-made & at present it’s not even warming. The climate is however changing, as it always does. The 4% of CO2 attributable to human activities isn’t a pimple on the ample posterior of natural climate changes. Another huge mile- wide tornado moving straight at downtown Oklahoma City as we speak- the storm weather men can’t exactly predict where it will go- it appears to be moving staright east into the city, but is wobbling a 4-5 mile wide North/South path as it moves east. Mul;tiple vortices- they said it si so large that it doesn’t look like any tornado- winds high/higher than they’ve ever seen. May in fact veer south into Moore, OK again. They just called my location as central to path- may have no home to come back to after I evacuate (any time now)… will hang as long as possible. A three-peat in 14 years for Moore would show the wisdom of building safe rooms & rebuilding damage with reinforced construction in high tornado frequency areas. Storm chasers getting boxed in- tornadoes forming all around them- catching debris. My apologies, as you’re in the line of fire. milodonharlani- below ground shelters are best- reports of some deaths last week in reinforced structure which would have been ok except for high speed impact of vehicle being tossed like popcorn. BTW, are you related to the Milodon engineering- racing heads people? Storm chasers getting hammered w/debris- it’s coming right at me (dang) but still time to dodge. Time to crawl in the ‘hole’ and lock the steel lid shut, Luther! What Mac said. Glad you still have or had the Net, Luther. It was designed for use in case of nuclear war, after all. The Breitbart of climate, though Monckton is closing in. He is very hard hitting, and not diplomatic. But I guess it is coming to that. It will be interesting to see the lies it generates from Trenberth and the team. I understand many sceptics concerns about Marc Morano, in particular his apparent lack of scientific acumen. However Mr. Morano does provide some valuable contributions to the AGW debate. The first of course is the entertainment value. Marc Morano appears to be able to talk underwater. Some might suggest that he has been genetically re-engineered with hidden gills, allowing him to breath without interrupting a verbal barrage. If Marc allows an opponent to get a word in edgeways, that is simply so they can give him more ammunition. Marc is devastating against those who would seek to debate using politics, spin and lies. Who can forget James “Chicken of the Sea” Cameron fleeing from debate in a cloud of yellow feathers and panicked squawking? The Internet doesn’t, and this is my second point. Sceptics may prefer to debate the science, but Marc Morano is a political animal. He understands that the “issue” is never the issue in politics. His political antennae have detected that AGW was not about science, but rather pseudo science seized on by a huge number of fellow travellers for profit and to advance political agendas. He has used the Internet, lame stream media and his political connections to ensure that at no point in the future can any of the promoters or profiteers claim “they weren’t told”. Further to this he keeps a record of all those involved in the hoax and lets them know he is keeping the record. The SS Global Warming has hit the iceberg of truth and is sinking below the waves. Squealing in panic, the rats are trying to escape. More scientifically inclined sceptics have destroyed all the life boats. Marc Morano is ensuring that all the hatches remain firmly welded shut. This may seem somewhat cruel. However, sceptics who object to Morano should ask themselves the question – do you really want any of these rats escaping? Do you really want them washing up in the Bay of “Biocrisis” or on the shores of “sustainability”, clinging to their rafts of soggy grey literature? I, for one do not. I applaud Marc Morano for his efforts. You seem to damn Morano with your faint praise. Marc Morano, thank you. The sinking ship CAGW has been hit broadside with yet another volley in the global warming scam. It is sinking and now the rats will have no place to go. As I have said before, there’s an “army of ones” marching for the truth and now it seems to be becoming a full blown rout. Carry on. The strongest force is often the one in the background. You are not alone. He is the mallet to the forehead compliment to Lord M’s rapier dissection. We need both types. The increase/decrease of CO2 followed the temperature curve over the past 800 kyears with a quite fixed ratio of about 8 ppmv/°C and a lag of +/- 800 years during deglaciations and several thousands of years at the onset of glaciations. But that doesn’t fit the past 160 years, where CO2 levels increased some 100 ppmv, while the temperature since the LIA only increased at maximum 1°C, thus increasing the atmosphere with not more than 8 ppmv extra at equilibrium. Thus Morano is right about that temperature did drive CO2 over the past 800 kyr, but that doesn’t apply for the past 160 years. That doesn’t prove that the temperature increase 1976-2000 is (mainly) caused by the increase of CO2, that is an entirely different discussion. BTW, Henry’s Law gives an increase of about 16 ppmv/°C for seawater, but on the other side, increased temperatures and CO2 increase enhance plant uptake and rock weathering. That makes that the real increase over very long periods is about 8 ppmv/°C at a quite constant ratio over the full 800 kyears. On shorter term (seasonal, year by year to multiyear), the change is 4-5 ppmv/°C. Morano’s document contains about four duplicate paragraphs that should be removed. ” As test materials we selected 12 already published research articles by investigators from prestigious and highly productive American psychology departments, one article from each of 12 highly regarded and widely read American psychology journals with high rejection rates (80%) and nonblind refereeing practices. That is the gold standard of training people. I did it for 7 years. Software engineering, Computer technology and computer interface design. Perhaps, but his message is dead center. How do you know? 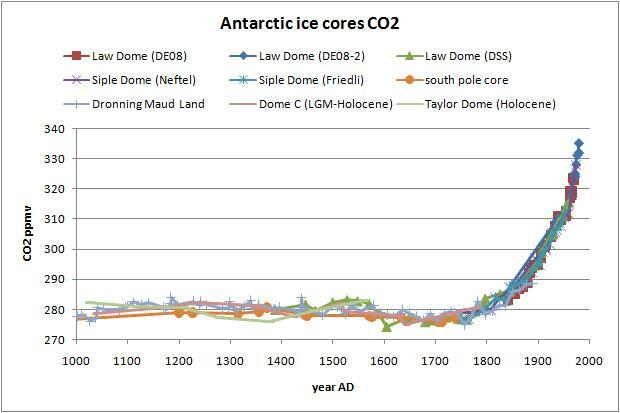 There are a number of things that correlate better with temperature rise than the increase in CO2. So how do you know temperature DIDN’T drive CO2 over the past 160 years? Didn’t we have a temperature increase as the earth was pulling out of the LIA, THEN CO2 increased? 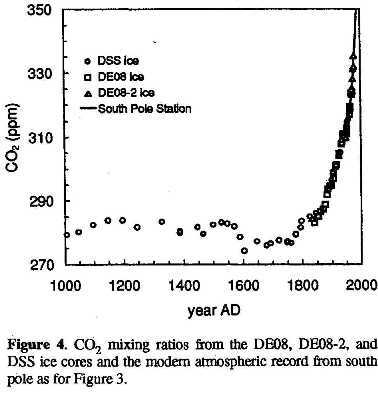 If you have diagrams showing CO2 increased first followed by the temperature rise from the LIA, please produce them. The problem with Morano is he has no scientific credentials. That makes him the worst possible type of person to personify the skeptical movement. Yes, but the most heard voices in the climate debate are those of the media people. They’ve got McKibben, we’ve got Delingpole, etc. etc. When you cannot refute the science, attack the man, eh? That’s weak tea, my friend. And what are your credentials? Post your CV here, so we can determine whether you have the authority to post your opinion. Marc Morano is simply re-stating this fact, in his own words. If he is mis-stating facts, show us where. Sorry Dave, but nobody who buys into CGWA (even if the resist calling it that) cares a hoot about science. They just dress up in it. True, and that’s why I call them the “CAGW”–Catastrophic Anthropogenic Genocidal Warmistas. That’s the proper interpretation of the acronym. Please report in. Hope you & all yours are OK.
Cholera and Malaria are also failing to follow global warming predictions. Not only are the malaria predictions failing but Malaria has fallen and continues down. I totally disagree. Here’s why. How many sceptical scientists talk like him? He is a political attack dog, this is what he does best. He knows the layman’s language and puts it forward simply and confidently. He knows not to go into the nitty gritty, it would bore people. In this great climate war different soldiers bring on different skills. Delingpole is good at what he does and won the bloggies. Anthony Watts is not a climate scientist and won the bloggies. These three people have done more damage to the good ship global warming than most of the sceptical climate scientists combined. These four people have done more damage to the good ship global warming than most of the sceptical climate scientists combined. Physics of ocean waters tell us that 1°C doesn’t give more than 16 ppmv CO2 increase over the oceans. The long-term ratioas seen in ice cores is ~8 ppmv/°C for all influences combined. with a lag of ~50 years after the temperature drop. After 1850 or so, there is a steep increase of CO2 confounding with a slow increase in temperature, comparable to the drop in temperature after the MWP. If really temperature induced, that would imply an enormous influence of over 100 ppmv/°C, not seen in any direct or indirect measurement or proxy in the past several million years. Such a drop in 13C/12C ratio again is not seen in any proxy or ice core for millions of years. Even the difference between glacials and interglacials gives only a change of a few tenths per mil d13C, not the 1.6 per mil drop as seen in the past 160 years. Thus in my informed opinion, most of the CO2 increase is caused by humans burning fossil fuels. It is NOT the good ship global warming! Static analysis fallacy. Surface seawater today is not the same as that yesterday, much less that a decade ago. There is a continuous circulation between the surface and the depths. Temperature accounts for almost all of it, and the superficial affine resemblance between emissions and atmospheric concentration is diverging as global temperature rise takes a holiday. Dr. Murray Salby, who literally wrote the book on climate science, has officially published in his latest textbook the reasons that CO2 is governed by temperatures. The video is also instructive. I have had similar reports accessing other threads the last few days. Henry’s Law is true for static as well as dynamic analysis. Increasing CO2 levels in the atmosphere with 100 ppmv needs either 12°C higher average global seawater temperature or 12°C lower average global temperature at the moment that the waters were sinking, which is impossible, as that means mostly ice. I had several discussions in the past with Bart on the same subject. The main problem is that he uses one time constant that should fit all changes, while in nature several mechanisms with different time constants are at work. – the oceans surface changes its total carbon content (CO2 + _bi_carbonates) with 10% for a 100% change in CO2 of the atmosphere, because of the Revelle factor. The time constant there is 1-3 years. Similar for fast changes in vegetation. That is the cause of the fast response of the CO2 rate of change to temperature (at 4-5 ppmv/°C on short term, 8 ppmv/°C on very long term). – the deep oceans exchanges are much slower with a time constant of ~50 years. Similar for the long term uptake of carbon in vegetation (roots, peat, coal). That is the cause of the slow rise in uptake capacity, directly related to the difference between current CO2 level and equilibrium setpoint level, the latter temperature related. But as we are already 100 ppmv above equilibrium, any temperature change has less influence on the absorption rate. Thus at least two quite different time constants are at work: one fast, but limited in capacity, the other slower, but far less limited in capacity (deep oceans), if not unlimited (vegetation). Marc, you are a fact filled tireless warrior. Keep it up. PS – I watch Marc weekly on SUN News Canada.on Climate realist/news Ezra Levant Show = Great stuff week after week. You will find a curve in my “dog that did not bark link” that looks a lot like the link you sent. The “Keeling Curve” created from ice core data. If CO2 drives climate change as suggested by Al Gore you would need a sensitivity of 16 Kelvin per doubling for the last 800,000 years and then after 1850 the sensitivity would have to fall by an order of magnitude (to 1.6 Kelvin per doubling). While I am convinced that CO2 emissions will never cause “Catastrophic” climate change I recommend leaving fossil fuels to our descendants who will find better uses for them. Having lived in London during the 1950s I know what you are talking about when you mention “Other Pollutants”. We should be developing alternatives such as “Generation IV” nuclear reactors which have the potential to sustain our industrial society for at least another 100,000 years. Here is a link to my (pathetic) web site. If Michael Mann were to see a dead horse falling off a cliff, would his hockey stick be able to tell how high the dead horse bounces? Work just about the same says me. This is incorrect. You are still imagining a static situtation. If a quantity of water which downwelled long ago at higher CO2 concentration upwells today, it will give that excess up to the atmoshere. You could then claim that, that water had given up all it could. But, tomorrow, there will be a whole new quantity of ancient waters upwelling. And, the next day. And, the next. Every single day, more goes into the atmosphere in a continuous accumulation. It only stops when an equilibrium is reached, or a regime change in the CO2 content of upwelling waters occurs. A) It requires dismissing the near perfect match of both long and short term components here as mere happenstance. That is highly unlikely. B) It requires that the high pass process which removes the low frequency components of the temperature response has essentially zero phase lag across the spectrum, so that the plot at the preceding link exhibits no discernible differential phase lag between components. That simply does not happen in natural systems. C) It does not explain why the long term emissions and concentration are currently diverging. If this divergence continues, and it will as long as temperatures fail to increase further, then it will not be long before you have no correspondence, superficial or otherwise, to hang your hat upon. There are far too many deconstructions of this argument readily available on the web for me to take the time to refute it. Simply put, there are many ways in which this observation could come about. It is consistent with the narrative, but not proof of it, and it is not inconsistent with other possibilities. This is the same fallacious “mass balance” argument you have been making forever, and it is wrong at an elementary level. I thought I had finally gotten through explaining it to you at one point, but you appear to have regressed. Thanks for that link to Murray Salby’s presentation. I hope that Barry Brook ( Sir Hubert Wilkins Chair of Climate Change) at the University of Adelaide will take note. I won’t be holding my breath on this. If a quantity of water which downwelled long ago at higher CO2 concentration upwells today, it will give that excess up to the atmoshere. The amounts released depend on the partial pressure difference between pCO2 in water and pCO2 in air. The former depends of concentrations, pH and temperature. The latter on concentration only. The concentration of the upwelling waters depend of the CO2 concentrations over the downwelling waters (as far as not mixed with the bulk of the deep oceans) of long ago and their temperature. While the temperature in general might have been different (but not at the downwelling places which are near freezing), the CO2 concentrations in the atmosphere were 100 ppmv lower than today. Seen in ice cores with a resolution of ~20 years over the past 1000 years. Worst case, the concentrations were 8 ppmv higher (for 1°C warmer during the MWP), that would give an increase of 4 ppmv today, not 100 ppmv. Every single day, more goes into the atmosphere in a continuous accumulation. No. As CO2 accumulates in the atmosphere, the pCO2(air) increases and the CO2 flux at the upwelling places decreases (the CO2 flux is directly proportional to the pCO2 difference between water and air). At the poles, the increased pCO2(air) increases the CO2 flux into the downwelling waters. With an increased pCO2 of the upwelling waters, the resulting increase of CO2 in the atmosphere increases with halve that increase and is again back in equilibrium. It requires dismissing the near perfect match of both long and short term components here as mere happenstance. That is highly unlikely. The short term match is real, the medium term match is based on an completely arbitrary baseline. Again, you are thinking in one process that fits all. In the real world the fast processes and the slow(er) processes are near independent of each other. The fast processes are temperature dependent, but quantity limited, the slower processes are far less temperature dependent, but near quantity unlimited. It does not explain why the long term emissions and concentration are currently diverging. As the seawater temperatures around the equator didn’t change much in the past years, the main possibility is that the larger open area near the North Pole absorbs more CO2 in an extra amount of sinking waters and/or that vegetation had a growth boot for unknown reasons. That doesn’t change the fact that nature still is a net sink for CO2, even a larger sink, not a net source. There are far too many deconstructions of this argument readily available on the web for me to take the time to refute it. None of the arguments I have heard of hold water. There are no huge sources of low 13C/12C on earth except from the current biosphere or the fossil biosphere (except some probable abiogenic methane, but methane levels are quite stable in the past decade). The current biosphere is net growing, thus not the cause of the 13C/12C decline. And again, the too high 13C/12C ratio of the oceans effectively excludes them as source of the increase of CO2 in the atmosphere. This is the same fallacious “mass balance” argument you have been making forever, and it is wrong at an elementary level. The mass balance must be obeyed at all times, as no carbon can be destroyed or created in the whole system. And human CO2 isn’t preferentially absorbed at a different rate than natural CO2. x = 91.2 and the oceans show a net uptake of 1.2 GtC as CO2. x = 329.1 and the oceans show a net uptake of 4.1 GtC as CO2. In all years of the past 50+ years, the oceans were net sinks for CO2. 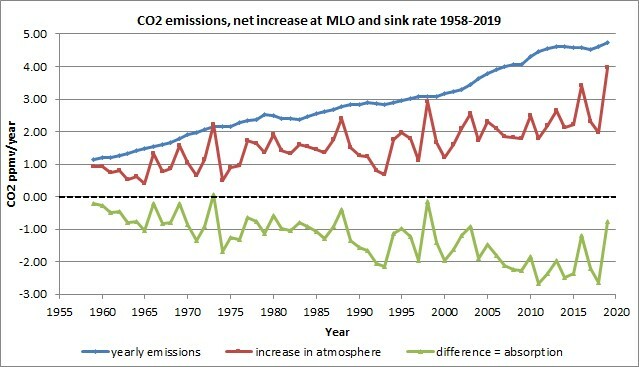 The only result of assuming an increased CO2 release from the oceans, is that the throughput of CO2 from oceans via atmosphere back to oceans increased some 3.6 times and still is net decreasing the atmospheric CO2 levels. The alleged increased throughput is not observed in any measurement. As the seawater temperatures around the equator didn’t change much in the past years, the main possibility is that the larger open area near the North Pole absorbs more CO2 in an extra amount of sinking waters and/or that vegetation had a growth boot for unknown reasons. On a previous thread here I tried to make the point that in summer cold Arctic Ocean open water can act as a sink to carbon dioxide from the atmosphere. Most of the change BTW is in the mid-latitudes, but the Ferrell cell brings the depleted air masses to near the poles. Do you now acknowledge that there is indeed a role played by the inorganic absorption into the cold open Arctic water in depleting the high latitude atmospheric levels of CO2 in summer, as well as the conventionally recognised role of organic vegetation in the circumpolar Taiga forests of Canada and Siberia? I dislike his presentation style — indeed, I would consider it disastrously inappropriate for the U.S. Congress, as likely to work in the opposite direction to what he intends — but his analysis of the facts is spot on. Sadly, this isn’t the way to present something convincing to people who are uncertain and who have other supposedly competent advisors telling them the exact opposite. I just don’t understand why nobody articulates this well. As a single example, he talks about energy poverty in the third world and the impact of global warming policy on it, he quotes (quite correctly) a Japanese scientist who asserts that deliberate or not, European energy policy keeps the third world “barefoot” and in economic shackles (and as I pointed out, isn’t too good for the European economy itself, either), but he doesn’t present a simple, factual, cost-benefit analysis that shows the real costs right now of ameliorating the imagined CAGW “catastrophe” 87 years from now. They are enormous. Truly stupendous. We could have ended world poverty with the money pissed away on this already, especially if we threw in the money pissed away in the Iraq war (indirectly part of the same energy constellation, at issue global control of Iraq’s oil resources). We also could have done something constructive about the use of fossil fuel resources to hedge our bets in the meantime, if it weren’t for the demonization of nuclear power and the unjustifiable promotion of wind based power. This entire issue lacks an articulate spokesperson, one who can fairly balance both sides of the issue and focus on weighted risk and cost-benefit, not whether or not the predictive science one way or the other is right. SLR is a perfect example of how a rational argument can proceed. Hansen makes egregious claims. The actual data fails to support them. That doesn’t mean that they aren’t or won’t eventually be correct, but it is nevertheless quite clear that we shouldn’t be basing current public policy or spending current public money building seawalls now against a possible 1 meter or more SLR in 80 years. Even if the sea level does rise, it isn’t going to go up a meter overnight — there will be plenty of time to build seawalls and so on once it accelerates the way Hansen predicts that it will. And if Hansen is actually completely wrong, batshit crazy, and self-serving in his predictions and passion — whether or not you believe that this is likely to be the case, it is hard to argue that it would be good not to have wasted all that money on what would prove to be a monument to fiscal idiocy over the ages in the event that this SLR fails to come to pass. Precisely the same thing is true for global temperatures and so on. It has been 16 years or so since we have had any discernible warming, and most of the warming we did have over the last 40 years was discrete and associated with a single event, the 1998 super-ENSO. Most of the “climate change” we have observed is more likely correlated with or explained by secondary phenomena such as solar state and/or the phase of other multidecadal oscillations. Humans affect many atmospheric parameters associated with climate change, some warming, some cooling, and we cannot yet meaningfully predict or explain observed global temperatures on the time scale of centuries at all. CAGW might or might not resume at some point — we don’t know why if it is a true hypothesis in the first place, and if it is we don’t know why it stopped and so cannot predict when it might resume — but if it does it probably isn’t going to just jump up to disaster, because the Earth has an enormous heat capacity and buffering system. 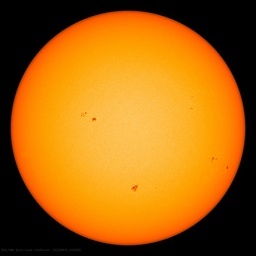 In the meantime, as is the case with SLR, perhaps there will be catastrophic warming, perhaps not, but at the moment there is no warming at all and it is difficult to see how the lack of warming can be disastrous. Surely we are better off spending our money on sure things — reducing energy poverty and the real, ongoing catastrophe in our time of millions of preventable deaths, billions of lives lived in uncomfortable poverty. That still is the case: the main seasonal change is from vegetation in the mid-latitudes, as can be seen in the huge change in 13C/12C over the seasons. That is about 50-60 GtC extra that is absorbed when leaves begin to grow, every growing season again. Most of it returns in fall and the following year(s) when the same leaves are falling down and rotting. What a lovely turn of phrase, “soggy grey literature”. Right on. Exactly: it is all wet. I am sorry, Ferdinand, but there is not a single correct statement in the above that I can find. I would have to spend all day correcting your mistakes. As the divergence in the superficial match accelerates in coming years, you will be forced to accept the truth. For now, I am tired of arguing the patently obvious against you when you do not want to be convinced. The variability in increase of CO2 in the atmosphere is caused by temperature variations. Temperature influences the net sink rate of oceans and vegetation, the main natural net sinks for CO2. A true mass balance, yes. Your absurd pseudo-mass balance, no. In a dynamic system in which feedback increases or decreases the size of the sinks in response to the rate of influx, your simplistic accounting does not work. We have been over, and over, and over this. At one point, you seemed to have seen the light. What happened? While one can have mixed feelings about any personality, the key point is that Marc Morano is essentially correct that AGW is driven by political goals not science. Technical skeptics who devote enormous time to the data, graphs, studies etc might be emotionally distraught to accept this truth. Delingpole covers many of the same bases and is also correct. AGW and the “Green” movement is largely dominated by the social and academic left-wing of the country and the world. Central planning (Agenda-21), wealth redistribution, reduced property rights of individuals (collectivism) are the central features. It was never about science but targeting “carbon interests” AKA “Big oil” etc. for taxation and control. Technical skeptics themselves are in denial if they think scientific refutation is central to the broader social and political questions of AGW policy motivations. So if skeptics agree to be socially dishonest in the same way core believers (followers) of AGW choose to be is it small wonder the levels of social damages that have occurred? The fault lies more with technical skeptics who fail to directly support the thesis of Marc Morano as much as any delusional Gaianist or leftist operative of the “cause”. The non-political climate debate premise is damaging and erroneous. I keep wondering how Barack Obama won the last election. Did Republicans need more arbitrage? more silver-tongued compromise? Or more fire-breathing orators who were willing to state the obvious and damn the dissent? Whichever it was, I felt the heart go out of the party. I recently enjoyed watching “Lincoln” with my daughter, and was reminded that Lincoln, a Republican, was aided in shepherding the Emancipation Proclamation through Congress by a “radical” member of his own party. Thaddeus Stevens. Stevens’ anti-slavery views were well-known by everyone, and woe unto him who disagreed. Lincoln’s manner was sly and folksy, whereas Stevens’ oratory was direct and incisive. Bluntly stated, a man — President Obama — who declared his presidency would result in ‘the rise of the oceans beginning to slow’, has no business whatsoever claiming he understands, let alone champions science in any way. — A president who claims Americans can ‘do something’ at the ballot box about floods, hurricanes, droughts, & tornadoes is not pro-science. Now would be a good time to begin to survey congressional records – to see how politicians favor overt global warming legislation. They are on the public payroll, and had better know it. We all hope for a stake through the heart of this blood-sucking vampire, but knowing the blood-lust of our representatives, and their timidity in the face of daylight, Morano’s “death by a thousand cuts” may have to serve.